In my first post on “What’s at Stake with Testing”, I defined “high stakes”, and looked at the history of the phrase “high stakes testing”. The term “high stakes” refers to any situation where there are large consequences — upside and downside. 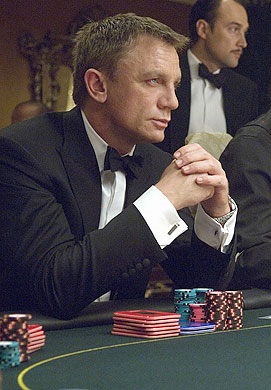 Usage of the phrase “high stakes” in the mid-20th century most often referred to gambling … a situation where the player can lose everything ‘staked’, but also reap outsized rewards. We can visualize the ‘stakes’ of any situation, including gambling and testing, using a 2 x 2 matrix. 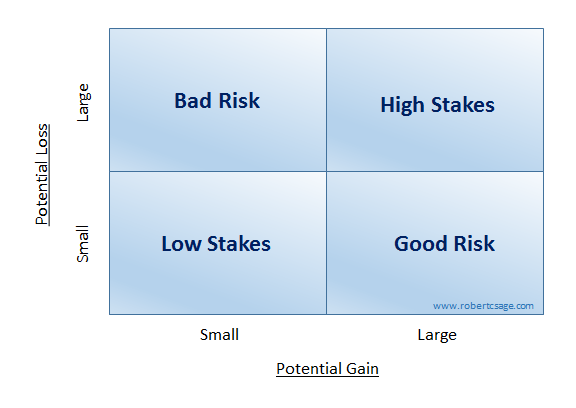 “High stakes” situations are those where the potential gains and losses are large — the upper right quadrant. In the next three posts we will look at the PSSA, and the consequences of test results on students, teachers, and schools. Up first: our students. What is “at stake” with the PSSA? What does a student gain or lose based on their PSSA results? At the state level, Pennsylvania confers no benefits nor losses on students for PSSA performance. There are no laws limiting social promotion based on PSSA results, nor is a specific PSSA result a requirement for graduation. There are no rewards, honors, or state-conferred scholarships that can be earned with good PSSA scores. There is no preferred admission to state-run colleges or universities for any particular PSSA result. What about at the local level? How much do PSSA scores influence the way a student is treated academically? In Unionville-Chadds Ford, the PSSA test result is not reflected in a course grade nor recorded on a student transcript. Our district does not use PSSA results for grade progression nor as a graduation requirement. The PSSA does not result in placement in specific math or language arts tracks (other local tests do that). For high schoolers pursuing college placement, the PSSA score is not provided by UCF to colleges or military academies. A student’s score is not posted in public. There are no rewards or recognitions for PSSA performance. In fact, the student does not even have a right to know the result at all (results are sent to parents). How do UCF principals and teachers use student PSSA results? The instructional team looks at results to identify students who may be falling behind and need extra support or attention. Scores likewise may high-achievers who need more academic challenge. So PSSA results are a source of feedback that is used to help students achieve their full potential. I do not consider this a ‘high stakes’ consequence, but rather a routine ‘feedback-response’ mechanism that is at the heart of effective teaching and learning. This type of feedback and adjustment happens all the time in our classrooms, as teachers respond in real-time to their students, using any and all indicators of student well-being that are available to them, including their own well-honed instincts and powers of observation. PSSA results are one more data point that our educators use to better serve our students. Are there intangible rewards or penalties? Some students may derive social and psychic benefits from the PSSAs, either from expectations set by their families or from goals and self-esteem markers they have set for themselves. The school district simply provides test results to parents. Parents then apply their own values system, parenting style, and accumulated wisdom in sharing those results (or not) with their children. So test results “matter” to students and families, but not in a qualitatively different way than any academic result does, be it a quiz, a graded homework assignment, a social studies test, or a lab report. So are there high stakes for students? If they are there, I don’t see them. There are no consequences that are prescribed by the Commonwealth of Pennsylvania. UCF also imparts no consequence of note, other than using the results to better individualize instruction. A student gains nothing from scoring well and loses nothing by scoring poorly. 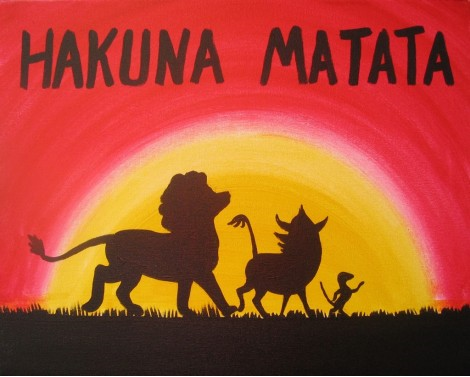 The test result really does not matter. Perhaps there are high-stakes consequences for other stakeholders, like our teachers? We’ll tackle that in my next post. This entry was posted in Standards and Testing on December 1, 2015 by Bob Sage.